A process shot from Noelle’s studio. Another shot of Noelle’s process, showing the mountain on the ski tips. 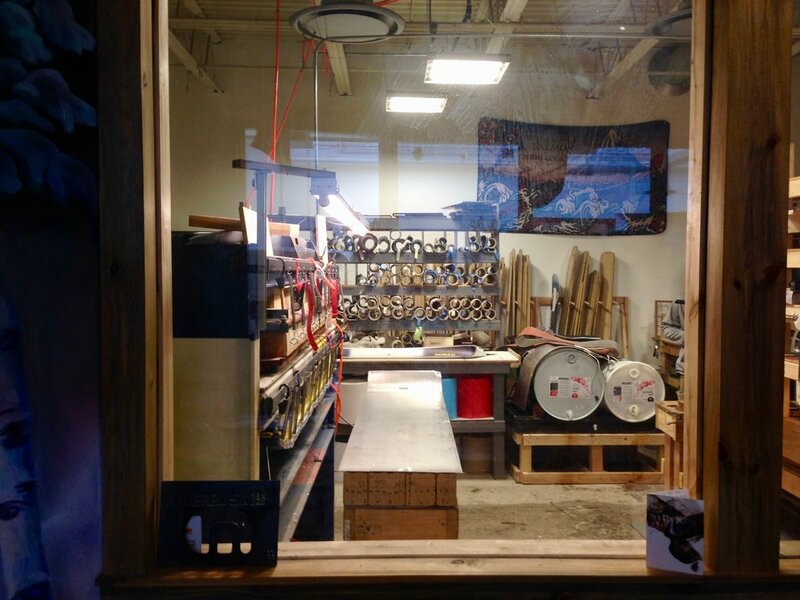 The Meier Skis woodshop. All their wood is sourced from Colorado trees! A Meier ski manufacturer at work.